Somewhere in September the weather changes, from hot to simply pleasant. That's the start of what many in Andalusia call their favourite season. It's the time of City Trips and the busiest time of the year for city hotels in Seville, Granada and Cordoba. The heat of the summer is over and exploring sites and monuments (and all their staircases and paths) has become far more pleasant. Hiking, horse back riding, exploring inland Andalusia by car: both September and October are perfect for anything that involves energy or being in the outdoors. So prepare your rucksack, tent, hiking boots - or start browsing around for hotel reservations. (For the same reason we also notice a sharp increase in the demand for property viewing trips). King of the season is that gorgeous month of October. Though we can't predict the weather either, October often exists of surprisingly agreeable weeks, when mass tourism has disappeared everywhere and you have terraces and gardens to yourself or just a few others, all enjoying the 'Indian Summer' like golden light. And it's Olive Season, all around the campo all around inland Andalusia you will notice groups of people working hard to pick the olives that end up at the shelves of your local supermarket. 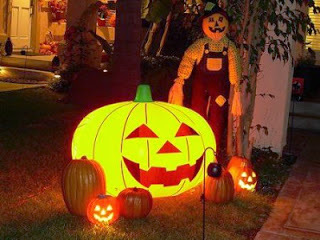 The month ends with Halloween, when you really want to be (or really want to avoid) in the heart of a village in inland Andalucia, for it's an equally loud event here as in the English speaking world. November then is quite unpredictable. Because of the temperature of the Mediterranean Sea having risen for months on end, and dropping more slowly than the temperature on land, we can have our own tiny 'El Nino' effect: lots of showers and glorious clouds, punctuated by sudden sunny days. 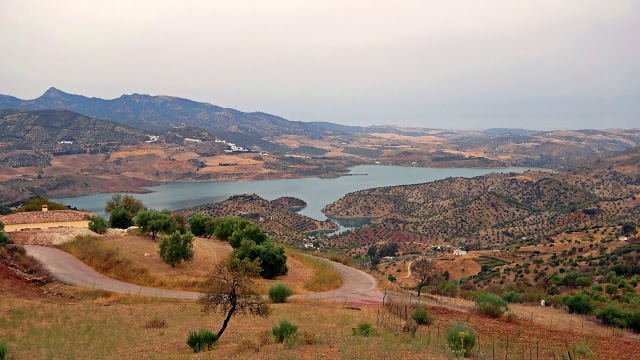 Lovers of Scotland or Ireland might have a field day: at times you forget being in Andalusia: the combination of nature, mountains, valleys, greenery and rain makes you think you're on a Celtic or Scandinavian holiday. In December the sun returns. 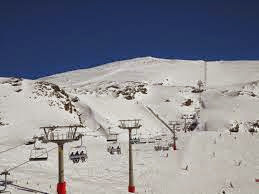 And at the very same time: the snowy peaks of the Sierra Nevada. Making of Andalusia about one of the only places on earth where you can ski in the morning, and go to the beach in the afternoon. What with the many mountain and hill ranges, separating the coastline from the inland valleys, the difference in temperature can be remarkable - sometimes you only have to drive 20 Kms to experience a difference of 5 to 8 degrees. Naturally, we can't predict the weather of this autumn, nobody can - the unpredictability of the weather is its greatest gift: the above is simply based on our experiences of the past 20 years. Whatever the weather, Andalusia is beautiful all the time. And connect with us on Facebook.